The Rolling Stones have announced that Zac Brown Band will be a special guest opening their show in Jacksonville on Wednesday, April 24 at TIAA Bank Field. Their 15-city NO FILTER tour will trek across North America in 2019, and this show will be the first time The Stones play in Jacksonville in nearly 30 years. “We are huge fans of the Stones, it’s an honor to join them in Jacksonville and share a stage with such legendary musicians,” said the Zac Brown Band. For ticketing information, please visit rollingstones.com. 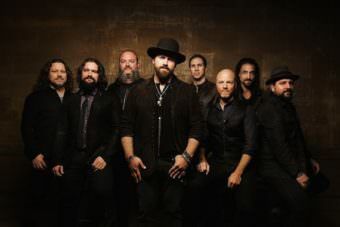 The day before the historic running of the 103rd Indianapolis 500 on Sunday, May 26, Zac Brown Band will headline the annual Legends Day concert on Saturday, May 25, on Turn 4 of the infield stage at the Indianapolis Motor Speedway. Additional acts will be announced soon. In the past, Keith Urban, Blake Shelton, Chris Janson, Dustin Lynch and more have performed during the show. Tickets are on sale now, ranging from $35 (general admission) to $250 (VIP). All concert tickets include admission to the concert and all Legends Day activities, including autograph sessions with current and past Indianapolis 500 drivers. Check out the 103rd running of the Indy 500 on May 26. Zac Brown is adding a new wine to his Z. Alexander Brown line of vino. His 2017 Uncaged Sauvignon Blanc will be available all across the U.S., and will go for about $20. Zac started Z. Alexander Brown in January of 2016 with Napa Valley winemaker John Killebrew, and he’s just as passionate about his wine as he is about his music. “No matter what the medium is, it all takes a lot of love, time and attention to detail to come out with a final product you know everyone will enjoy,” Zac says. “Like songs, each new wine release is unique, and we are really excited about our new Sauvignon Blanc.” You can look up where to find Zac’s wine in your area online. Zac Brown and winemaker John Killebrew have released Z. Alexander Brown 2016 Uncaged Chardonnay, their collection’s first white wine. Brown and Killebrew launched Z. Alexander Brown a year ago (CAT 1/25/16), introducing a cabernet sauvignon and proprietary red blend. Purchase here. A Note From Zac Brown: As a former camp counselor, I know how a positive camp experience can transform a child’s life. My dream is that children of all abilities will have an opportunity to experience the magic of the outdoors. Thank you for helping us create an amazing place for kids to learn and grow. Mission Statement: Our mission is to operate a camp to allow children to overcome academic, social and emotional difficulties so they may reach their full potential and provide the tools necessary to achieve excellence in all facets of their lives. To find out more about Camp Southern Ground and how you can donate, Click HERE.